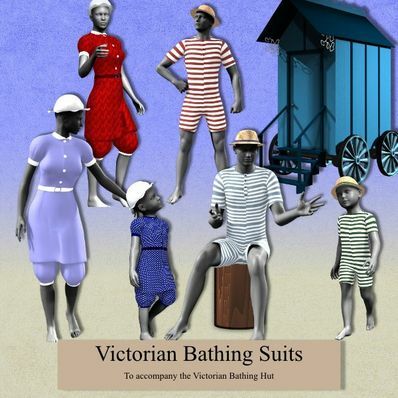 Victorian Bathing Suits for Genesis for use in Daz Studio 4. A bathing hut is also available from this website, and can be found in the Props category. The Victorian practical wear is fantastic! Thanks! Love the Victorian style, Thank you.